Plum Wine ornamental salvia(s.lemmonii x greggii) - Easy to grow plant features loads of purple flowers and is very drought and heat tolerant once established. 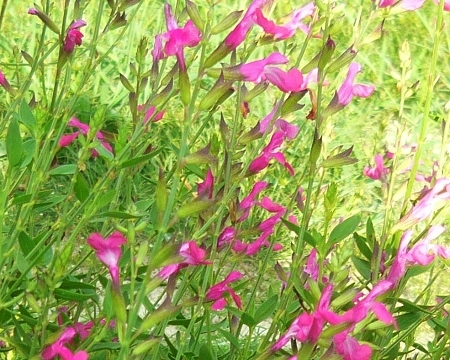 Will quickly form a small bush loaded with flowers blooming over a long period of time that will attract hummingbirds. Likes a sunny well-drained locations. Perennial zones 7-9. Live plant in 3 inch container.